Gain immense popularity for your brand, with a simple, yet essential item, the pull-a-part key tag. Add your business logo to the key tag, to leave a mark, whenever it is used. Gain immense popularity for your brand, with a simple, yet essential item, the pull-a-part key tag. Add your business logo to the key tag, to leave a mark, whenever it is used. This easy to use product has a key tag that separates easily, at both the ends. These tags have a classic silver color finish that gives them a professional look. 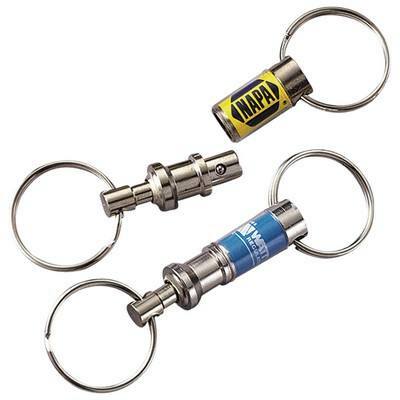 Market your brand, at the next promotional event, by gifting these cost effective and useful pull apart key tags. They are cost effective giveaways; at trade fairs, tourist spots, airports, and railway stations.